On the demand of our existing customers we have started manufacturing of Lined/ Mono Carton Packaging Machines for packing powders, granules & liquid items. Efficiency and reliability are highly appreciated by our clients. The materials used to manufacture these products are sourced from trustworthy vendors. Simple operation and low maintenance are highly appreciated by our customers.Before the final delivery of these machines. 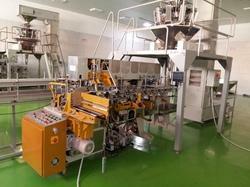 We are offering you Liner Carton Filling & sealing Machine for packing CTC or Orthodox tea. In order to provide proper & customized packing solution to our customers we have this machine equipped with both filling option i.e volumetric one (Rotary Cup filler based) & weighmetric one (Multihead weigher Or Liner weigher based). Options: Volumetric cup filler and Servo driven Auger filler or clutch & brake driven auger filler. Electrical Motors: Crompton Greaves make. Rated Speed (cartons /min) Approx. 30- 35 cartons per min. We are offering you Liner Carton Filling & sealing Machine for packing granuler items like tea, rice, sugar, salt & grains etc. In order to provide proper & customized packing solution to our customers we have this machine equipped with volumetric one (Rotary Cup filler based). 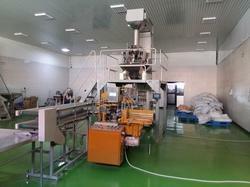 Packing range: 50 gm to 250 gm / 200 gm to 1000 gm. In 14 station: Approx. 15-25 cartons per minutes. Filling Options: Volumetric cup filler. Indexing system: Packem/ Camfield/ Orbital. Electrical Motors: Crompton/ Bonvario make. Rated Speed (cartons /min) 40-45 Carton per min. Ideal for packing Tea, rice, grains, sugar, salt, Soya chunks, cereals etc. 50gm, 100gm, 250gm & 500gm. For 50gm & 100gm: Approx. 40 to 45 Cartons/ min. For 250gm: Approx. 30 to 35 Cartons/ min. For 500gm: Approx. 20 to 25 Cartons/ min. 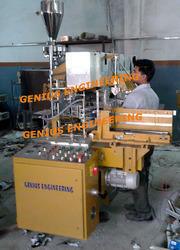 Multihead weigher (Multi weigh make). Production Capacity: 30- 35 cartons per min.